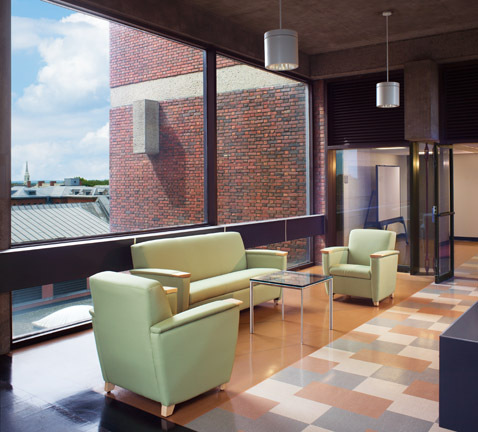 LLB Architects, in collaboration with our laboratory programming consultant Payette Associates, was asked to renovate and redesign the 4th and 5th floors of this 1966 Shepley, Bulfinch, Richardson and Abbott building. 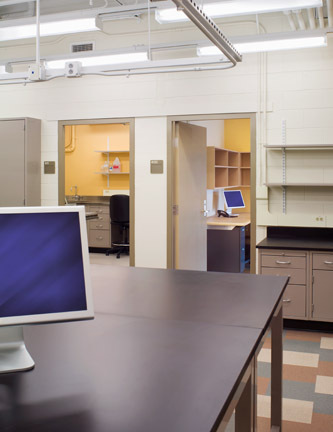 The program called for the renovation of 17,000 sf, 7 laboratories, and an upgrade of the existing mechanical, electrical and fire alarm systems to meet the needs of the current laboratory users. The two floors were carefully studied to determine all code and programmatically deficient areas. 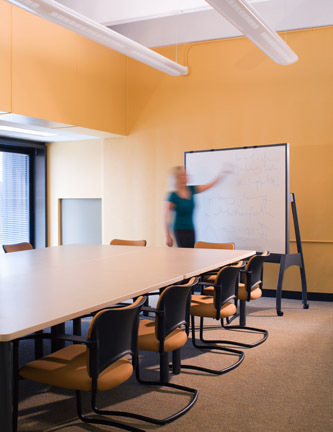 Along with the mechanical and electrical upgrades, many new common areas, conference rooms, study carrels, and offices were added. 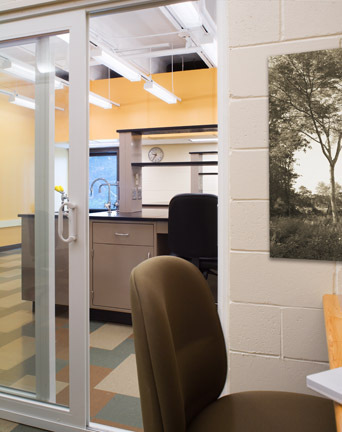 Improvements to existing environmental rooms and shared laboratory equipment areas, such as microscope rooms, helped to further develop the spaces. A survey was done to determine the location and condition of existing casework. 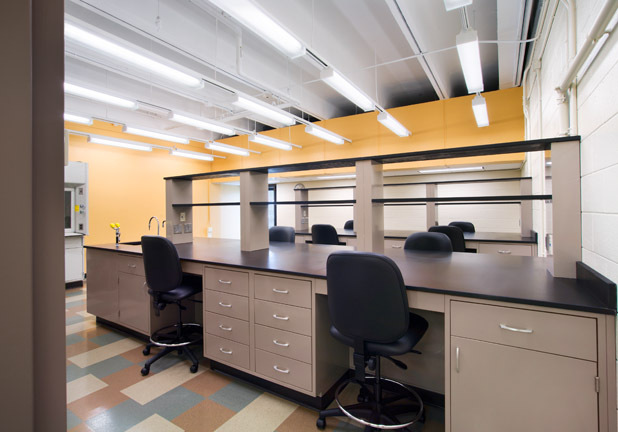 All salvageable casework was refinished and all new casework was specifically designed to meet each laboratory’s needs. The renovation of these two floors has been used as a model for subsequent renovations throughout the building, supervised by LLB.